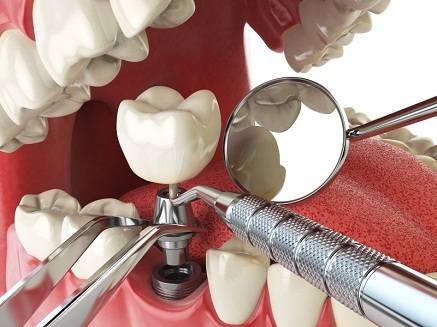 Implants an ideal treatment for replacing one or all missing teeth. An implant is an artificial root that is placed inside the jaw (bone). Post and crown are then placed on the implant as the final restoration. 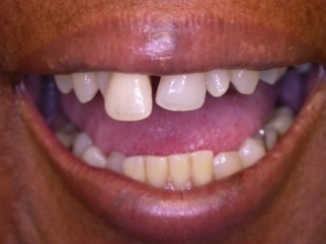 Implants can also be used for stability of loose and ill-fitting full or partial dentures. Implants will give you the chewing confidence of natural teeth. Dental implants can provide artificial teeth that look natural and feel secure, and can also be used to attach full or partial dentures. Implants, however, are not an option for everyone. Because implants require surgery, patients must be in good health, have healthy gums, have adequate bone to support the implant and be committed to meticulous oral hygiene and regular dental visits. If you are considering implants, a thorough evaluation by Dr. Nader Ahdout will help determine if you would be a good candidate. Q: What is involved in placing implants? A: First, surgery is performed to place the anchor. Surgery can take up to several hours, and up to six months may be required for the bone to grow around the anchor and firmly hold it in place. Some implants require a second surgery in which a post is attached to connect the anchor to the replacement teeth. With other implants, the anchor and post are already attached and are placed at the same time. 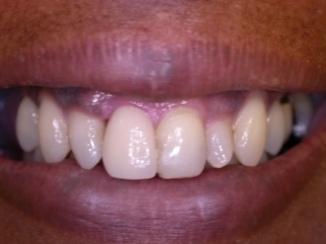 All the above smile makeovers have been performed by Dr. Nader Ahdout.